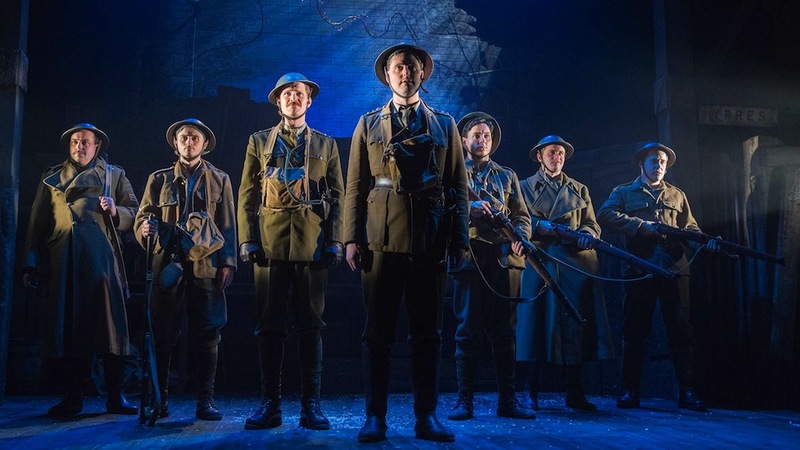 It’s easy to see why Private Eye Editor Ian Hislop and cartoonist Nick Newman were so inspired by the remarkable true story of how a satirical newspaper – the Wipers Times – was produced in the trenches of the first world war that they wanted to write a play about it. After all, the paper could almost be seen as a forerunner to Private Eye. But more than anything, it was a ‘lost’ part of history they were keen to tell; how good-old British satirical humour was alive and kicking even back then – and that amidst the hell and horror of blood, sweat and uncertainty it could be summoned as a means to survive. 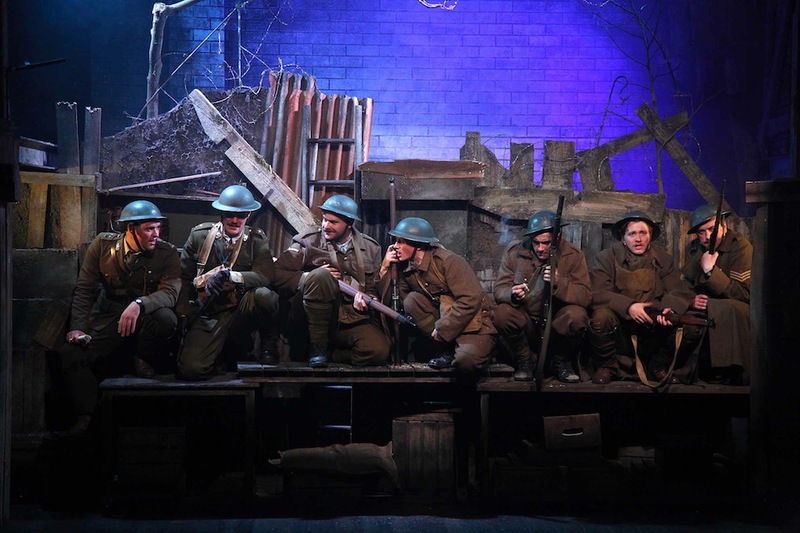 The play opens as the cast discover a dilapidated printing press in a bombed-out house in Ypres and – as you do – decide to use it to produce a paper to tell the world about the war as it is. 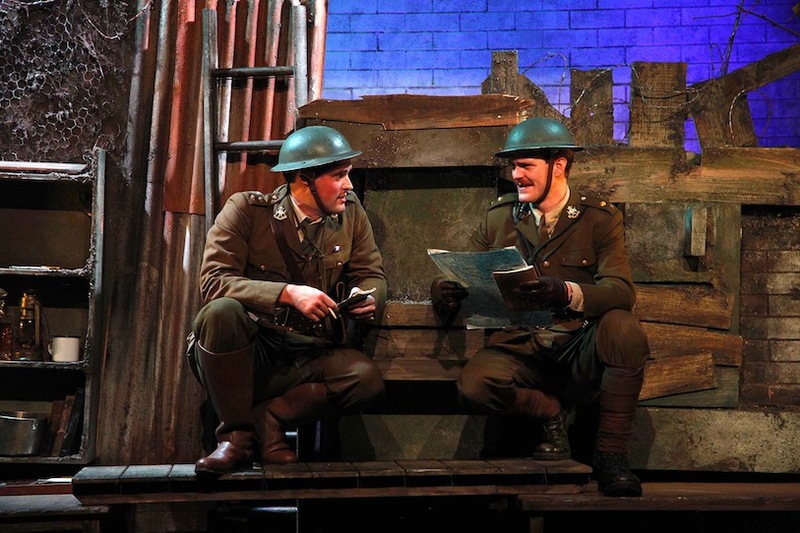 Enthusiastic editor Captain Roberts and his more understated lieutenant Jack Pearson (both played perfectly by James Dutton and George Kemp) set out compiling and collating songs, poems, satirical adverts and sketches and The Wipers Times (the Brit mis-pronunciation of Ypres) is born. 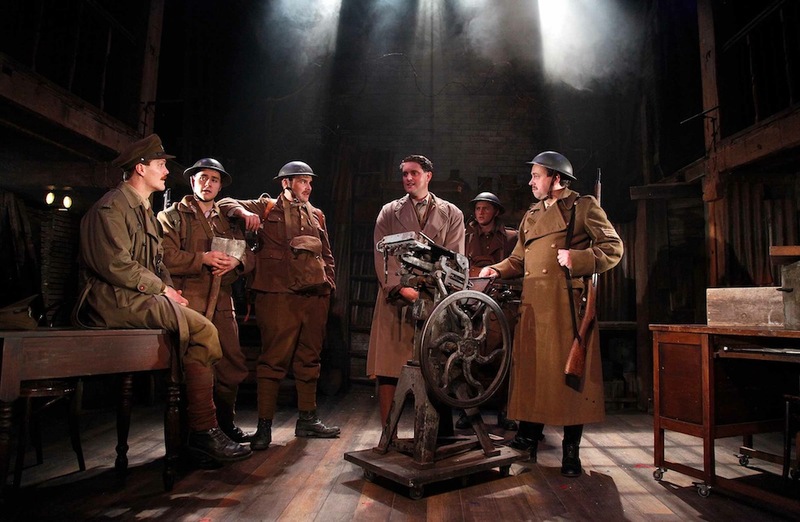 There are plenty of laughs amidst stabs of pathos, and gags stay true to what was printed in the original papers (Hislop joked that 99% of the script comes from the Wipers Times itself and 1% from him). And, of course, there had to be a couple of contemporary digs about the Daily Mail thrown in for good measure. 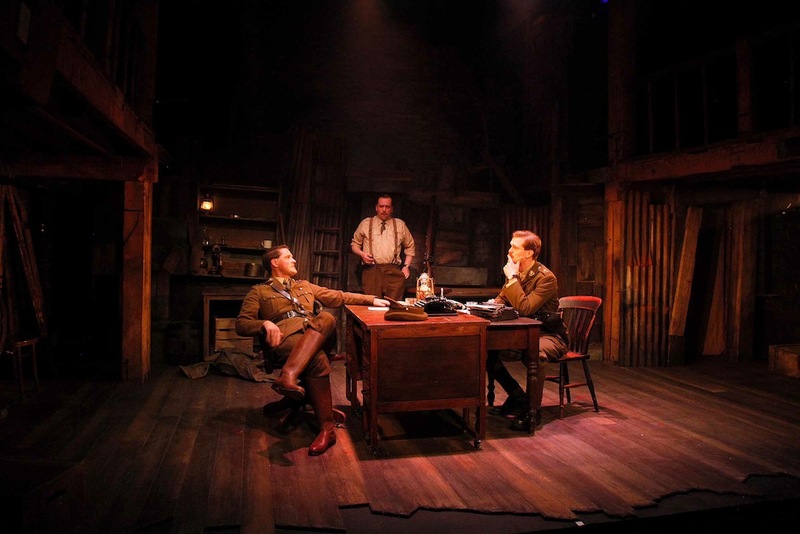 The paper – poking fun as it does at the British command – provokes uptight Lieutenant Colonel Howfield to try to shut it down, whilst his superior General Mitford sees the benefit that humour can bring to the hell that the troops are going through. 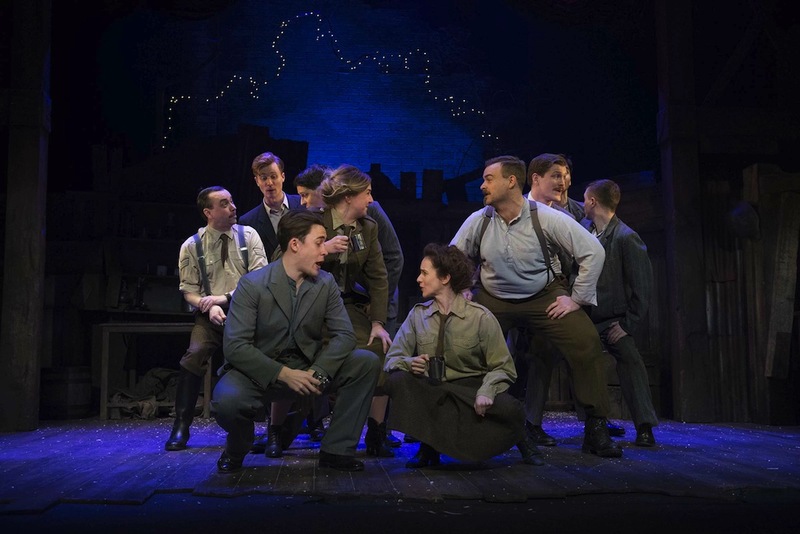 The play is interspersed with bursts of music-hall type renditions of the sketches and songs that filled the paper, which keeps it from being one-dimensional. We left the theatre not only marvelling at how these men, despite being knee-deep in mud and misery, found humour in it, but also debating why on earth we hadn’t known this paper existed before now. Hislop and Newman have put right that wrong – with Newman even going as far as securing obituaries in The Times for Roberts and Pearson. It’s a piece of history worth watching.